The Ukrainian Foreign Ministry summons the Polish ambassador. 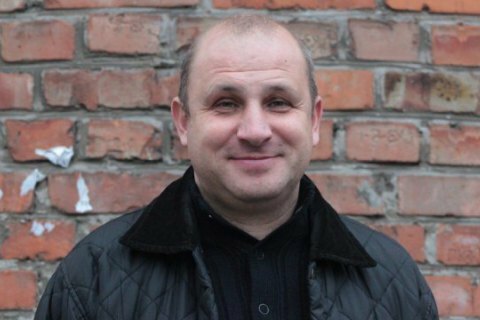 Polish border guards have denied entry to the secretary of the state interdepartmental commission for the commemoration of participants in the antiterrorist operation, war victims and political repression, Svyatoslav Sheremeta. The incident took place at the Shehyni checkpoint at noon on 18 November, he tolf the Lviv news website Varianty. Sheremeta was travelling to Lancut together with a delegation of the Nadsyannya society to commemorate fallen Ukrainian soldiers. First, border guards took his passport and told him to wait for the shift leader. He said that Sheremeta was denied entry to Poland and the Schengen zone for a year. Sheremeta has a Schengen visa issued by Germany. Earlier, Polish Foreign Minister Witold Waszczykowski threatened to bar Ukrainians with "anti-Polish views". Later on 18 November, the Ukrainian Foreign Ministry summoned Polish ambassador Jan Pieklo over the incident with Sheremeta. The ministry's press service said that the ambassador was told that the denial of entry for Sheremeta contradicts the constructive agreements reached by the Polish-Ukrainian presidential advisory committee in Krakow a day earlier. Ukrainian diplomats suggested this meeting would settle "a regrettable situation with Sheremeta" immediately.